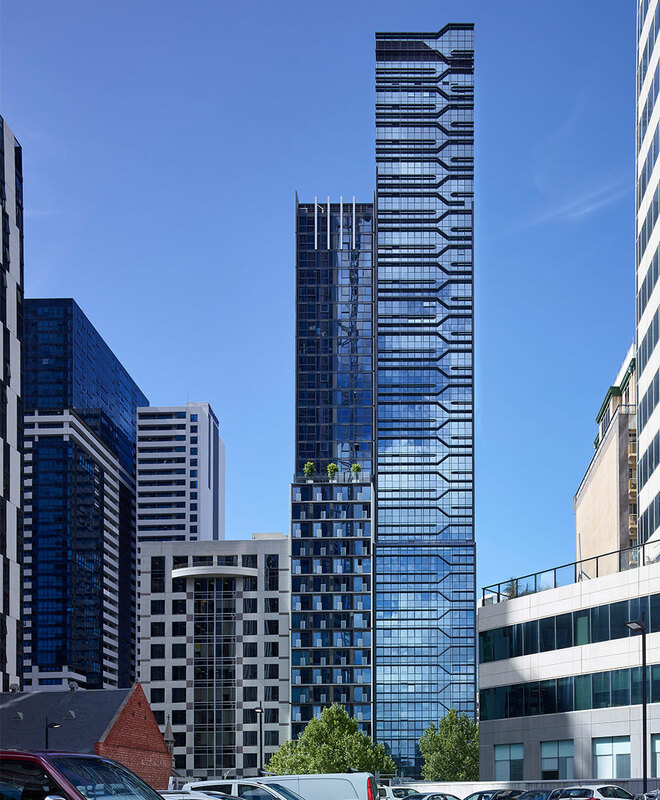 La Trobe Tower is Rothelowman’s groundbreaking new residential tower, at 42 levels it is Australia’s tallest prefabricated building. 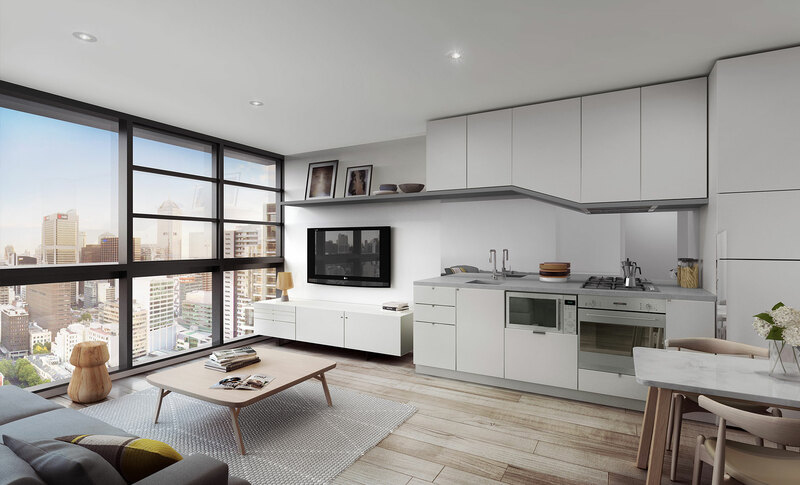 The site, which is only 374m2, is situated between Queen and Elizabeth Streets in Melbourne’s CBD, in an area of significant recent growth. The façades of La Trobe Tower draw from the rich art and music culture, visibly present in the re-claimed laneways south of the subject site. This history of music inspires the resulting facades, establishing rhythm and scale as a backdrop to this valuable precinct. The building has been constructed using Hickory’s HBS system, a new skeletal form of prefabrication. 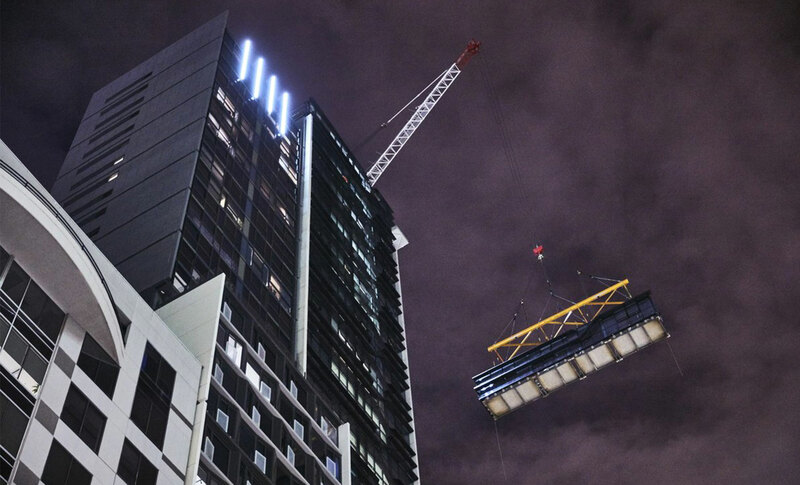 Construction of the 3-dimensional structural components with integrated facades occurred at night, avoiding the usual disruption to a busy part of Melbourne’s CBD. Then, by day, finishing trades could immediately commence internal fit-outs in a safe and weather tight environment. This system of building reduced the construction program by 9 months, allowing settlements to occur earlier than expected by the new residents. Prefabrication modules for the building were designed in large components, with whole facades for each floor in one section. This has avoided the boxy aesthetic more normally associated with ”modular” buildings. 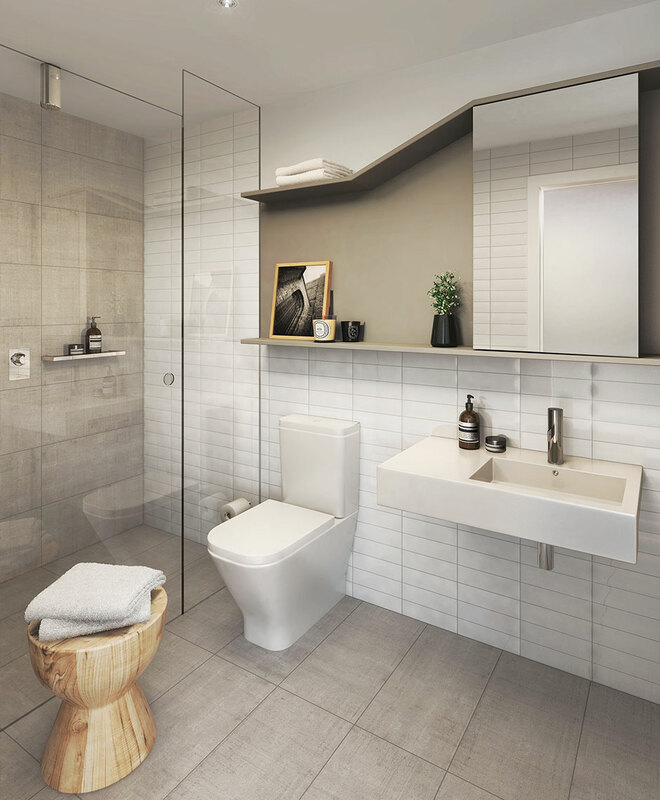 Larger internal components of the building, such as bathrooms, were also factory prefabricated, giving them a hotel quality finish.